Belgians spend an inordinate amount of time looking for parking spaces. In fact, up to 75% of traffic in the city centre is from motorists looking for a place to park. And yet, there is always a space ... when you drive a smart car. 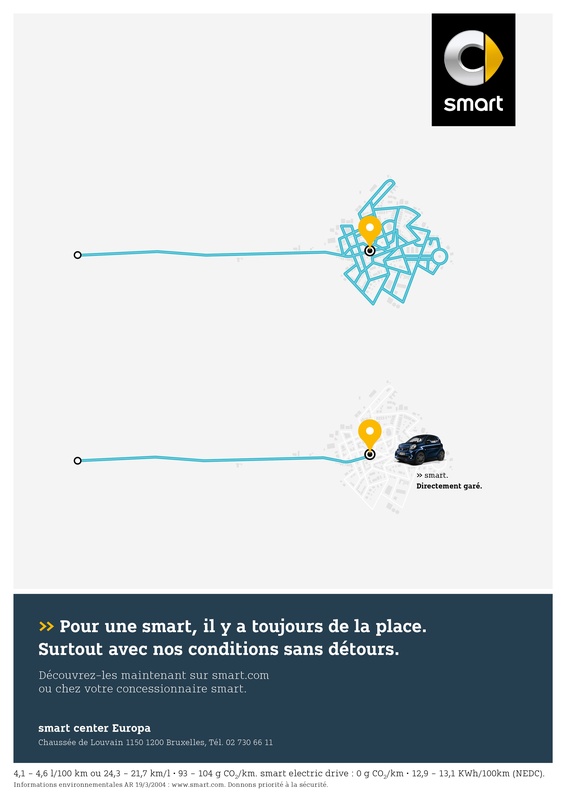 With their new campaign, BBDO and smart confirm the status of the smallest of small cars: the car that fits in spaces that others are obliged to ignore. The campaign kicks off with an impressively long radio spot: 5 minutes and 13 seconds … this just happens to be the average time we all spend looking for parking in the city. But that, as everyone knows, can sometimes take a lot longer. The idea is established immediately. There’s also another radio spot in which the mood is much angrier and where parking sensors act as parking censorship. Besides this radio campaign, smart will also be in print, bannering, on social networks and in dealerships.